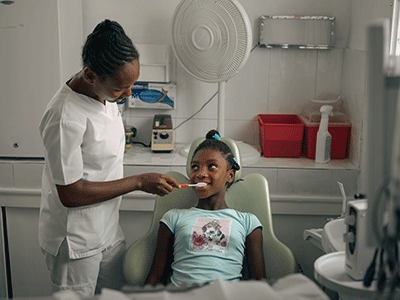 We believe that access to quality healthcare in Haiti is a human right. 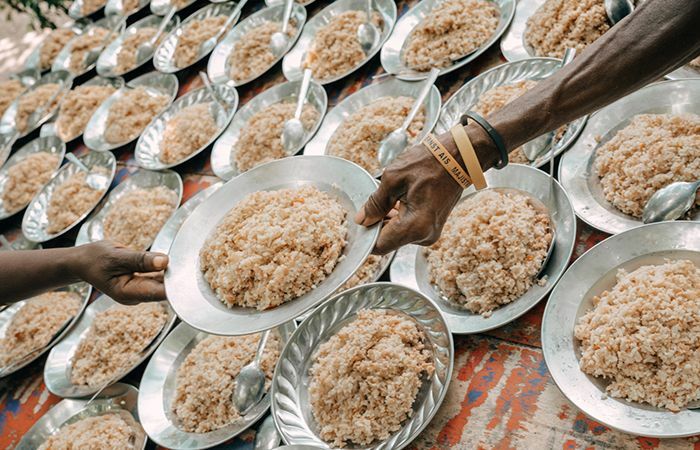 Haiti reports some of the world’s worst health indicators, which continue to inhibit the country’s development. 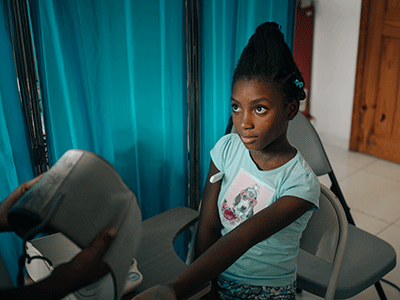 More than 40 percent of the population lack access to essential health and nutrition services, and healthcare in Haiti has the highest rates of infant, under-five and maternal mortality in the Western Hemisphere. 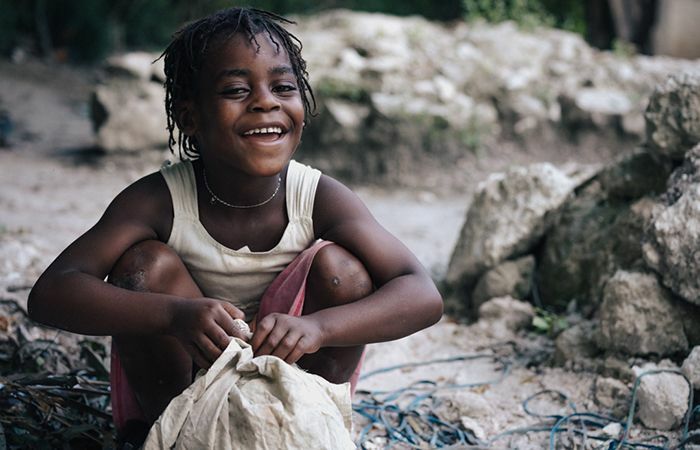 According to the Center for Disease Control, cardiovascular disease, diabetes, diarrhoea, respiratory infections, malaria, tuberculosis and HIV/AIDS are the leading causes of death when it comes to healthcare in Haiti. And these preventable diseases pose an even bigger problem for people in rural areas, were 60 percent of the population lack access to basic health-care services. 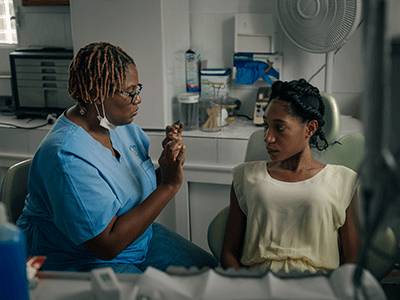 Hope for Haiti operates a health clinic in Les Cayes, Haiti that provides healthcare and health education to more than 15,000 patients annually with a specific focus on chronic illness prevention and treatment, dental care, and wound care. 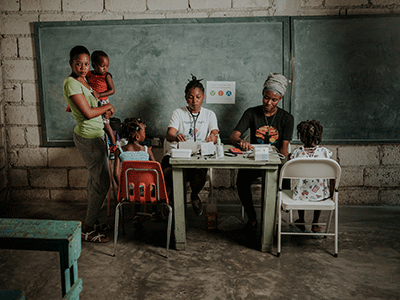 Hope for Haiti’s doctors and nurses conduct mobile medical and dental clinics in rural communities throughout southern Haiti. 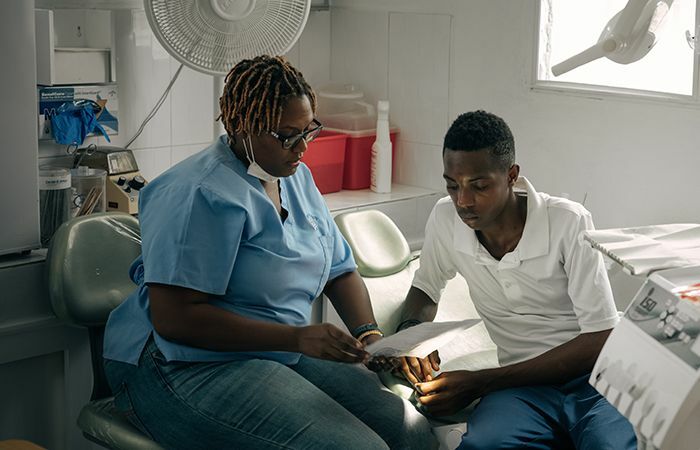 Hope for Haiti employs Community Health Workers who administer health lessons for 7,249 students to help control and prevent communicable and non-communicable diseases. 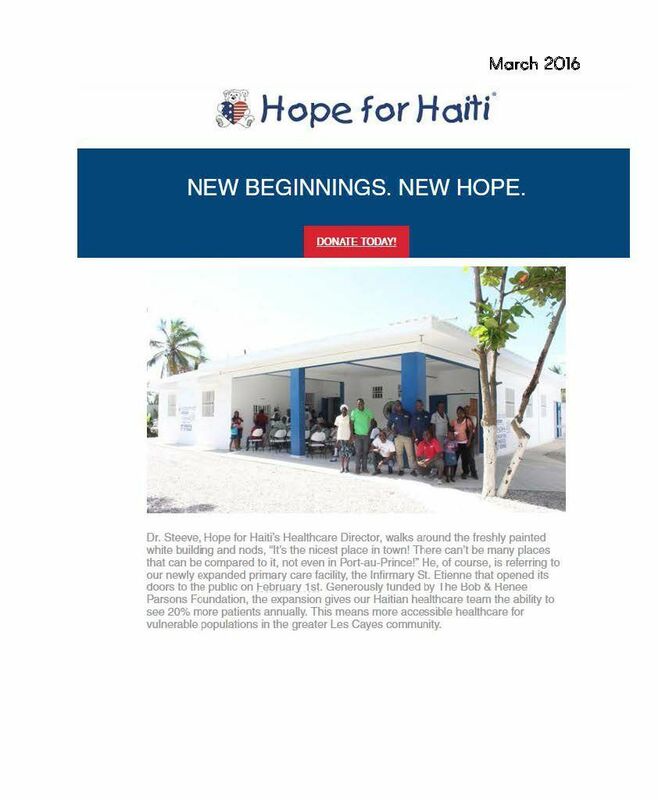 Hope for Haiti’s medical team focuses on the prevention, treatment, and management of diabetes by providing access to direct care, educating people on diabetes prevention and management, and creating partnerships in southern Haiti to improve access and quality of diabetes care. 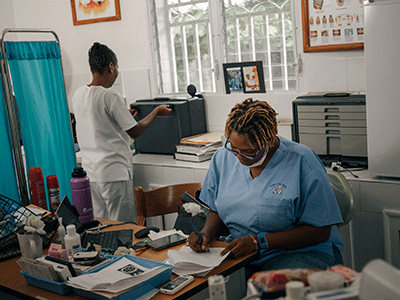 Hope for Haiti procures and distributes more than $11 million USD in valuable medication and medical supplies to support the Haiti public healthcare system in southern Haiti. 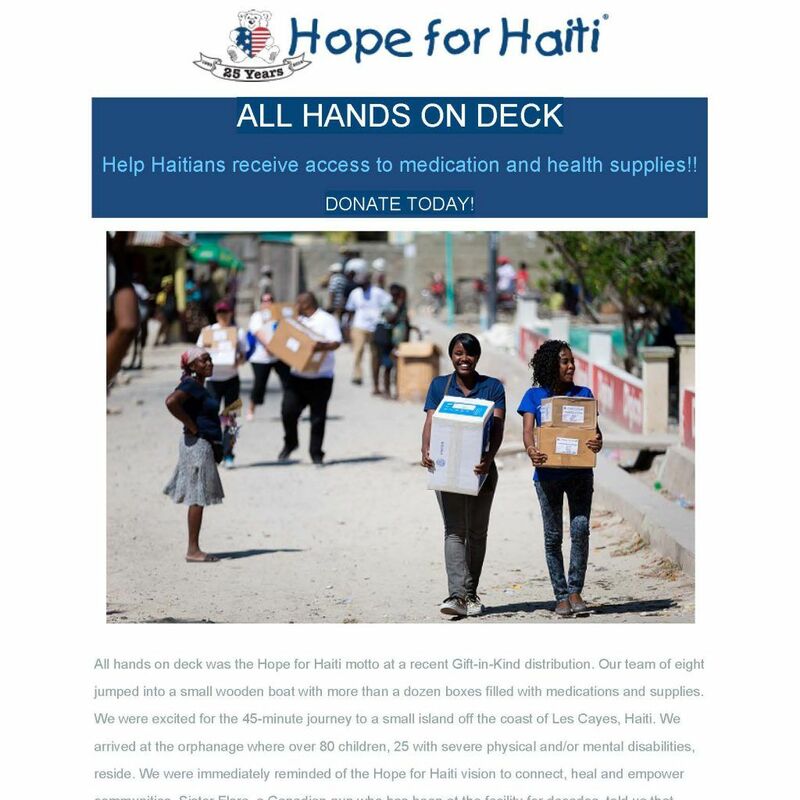 Support our efforts for improving healthcare in Haiti! Provides 24 inhalers for asthma patients. Provide general consultations for 5 people at our infirmary. Provides diabetes screenings for 100 people. Provides 1 mobile medical or dental clinic for 80 children, parents, and grandparents. Distributes $100,000 of medication and medical supplies to patients. In the United States, there are 61 dentists working in dentistry per 100,000 people (ADA). 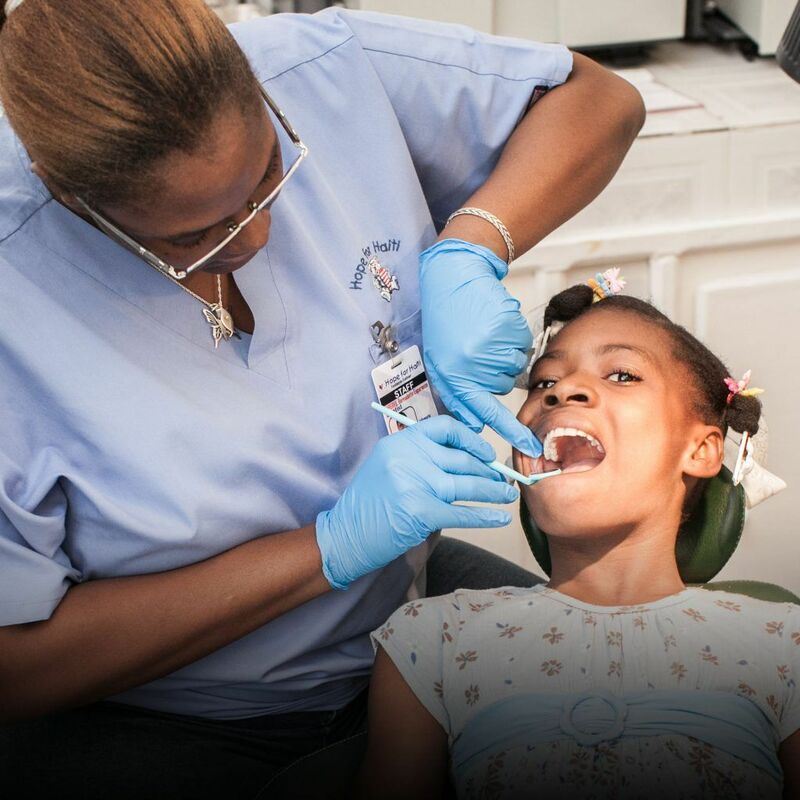 This is a stark contrast from Haiti, where roughly 300 dentists serve the entire country of just over 10 million people (HVO). This week, we are raising $5,000 to purchase and ship a new dental compressor to support our work. 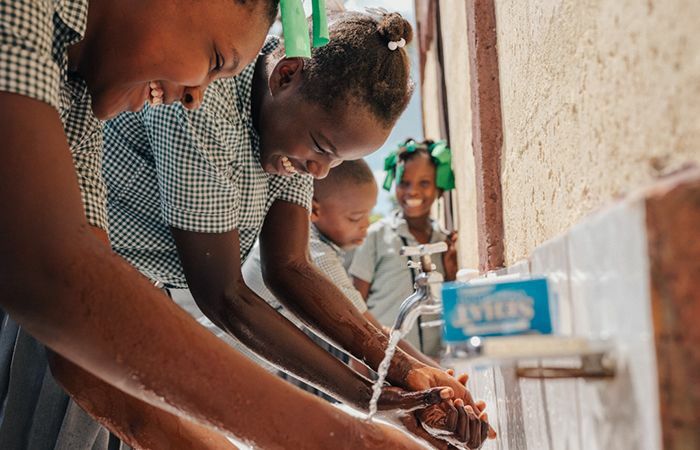 Annually in October, Hope for Haiti’s Public Health Program participates in Global Handwashing Day (GHD), a global advocacy day dedicated to increasing awareness and understanding about the importance of washing hands with soap as an effective and affordable way to prevent diseases and save lives (GHD, 2017).